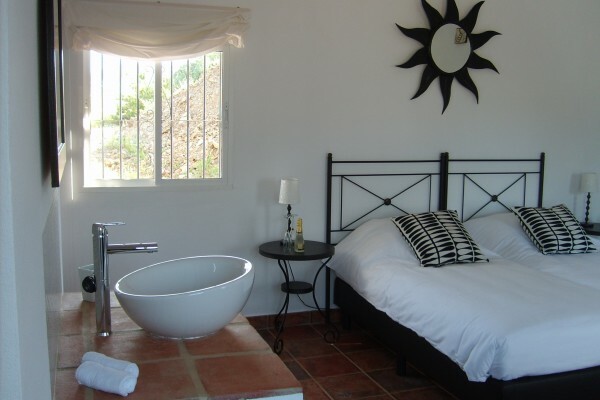 In the quiet countryside of Andalusia, yet only 45 minutes from the airport of Malaga, you'll find this cosy B&B. It is very central located and therefore the perfect beginning to discover all the highlights of this area. Do you want to enjoy for example the sun, sea and beach, than you're in the right place. The beautiful beaches and coastal cities of the eastern Costa del Sol can be reached within 25 minutes. But not only for the ones who want to relax, also for the more active holidaymaker there is a legion of possibilities. As there are a lot of walking- and cyclingpossibilities in the nature surrounding our house. 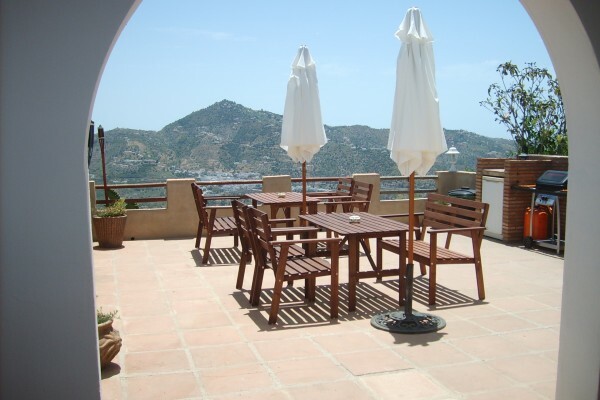 Culture lovers can use our house as base for trips to the well known cities of Andalusia such as Granada, Sevilla, Ronda, Jaen and Cordoba etc. or follow by car a few of the beautiful trips that brings you along different whitewashed villages throughout the mountains. 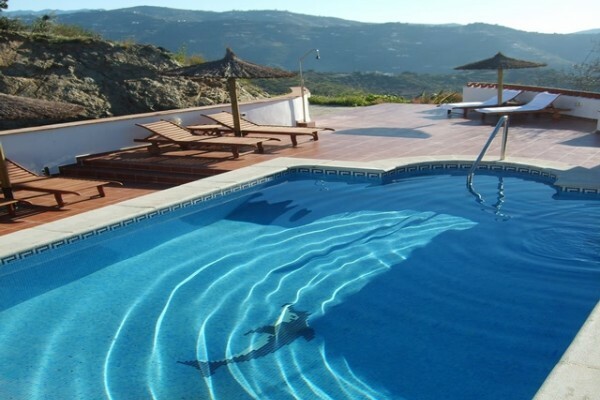 Once back "home" you can, while enjoying a snack or some drinks or even a cool dip in the pool, afterglow of your day in the Spanish country or on the beach. 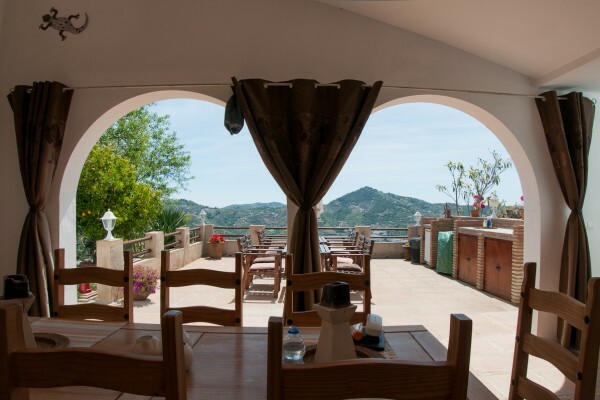 After a good night of sleep, the owners will make sure that you will enjoy a perfect breakfast, so that you can make an optimal start with your next adventure in Spain or your trip back home. There are 4 double guestrooms with privat bathroom. We have for the double rooms a price per room per night. In case of a stay of 7 nights or more, the price per room is Euro 82,00. Occupation by only 1 persons means the above mentioned prices minus Euro 10,00. Room number 4 has also a sofa for 2 persons and there is also the possibility to put an extra bed in room number 2. For families with little children we can place a special childrensbed in the room. Please place your request while you make your reservation. For every extra person you will have to pay Euro 10,00 per night extra for children, younger than 12 years and Euro 17,50 per night for every person older than 12 years. All the above prices include breakfast, taxes, the use of our facilities and 1 pooltowel per person per 2 days. Now and than we organize a bbq or tapasnight. We will anounce this on time, so that you have time to think it over and you can decide if this fits in your travelschedule. We also have always some little snacks for you available and it is also possible to use our outsidekitchen or equipment to bbq, grill or fondue. We have a hospitality bar. This means that our guests can help themselves and wright down what they have consumed. No experiences yet with B&B Casa Agradable. Be the first! Did you stay in B&B Casa Agradable? Let us know what you thought about it and help others to make the right choice! * I confirm having stayed in B&B Casa Agradable. 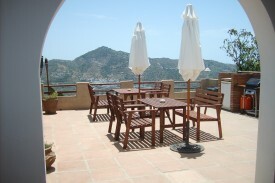 Find other bed & breakfasts in Arenas, all bed & breakfasts in Málaga or all bed & breakfasts in Andalusia.